The Royal parents Prince William and Princess Kate took Prince George to school on Wednesday which was his first day of nursery school. 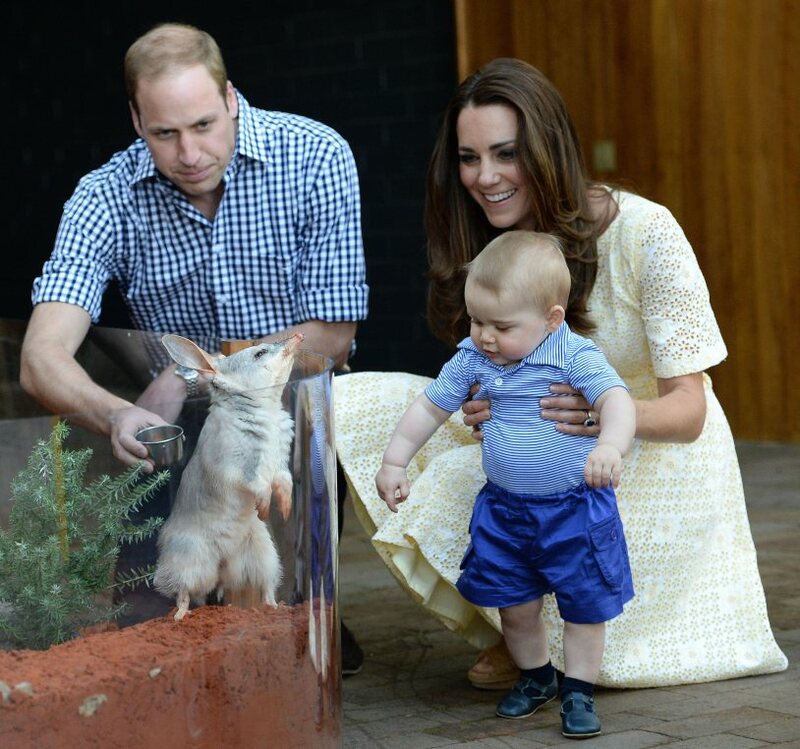 The 2-year-old, Prince George is attending the West-acre Montessori school near Sandringham in Norfolk. Norfolk which happens to be a short drive from the Royal family's grand country mansion, Anmer Hall. George, who looked confident and cute as he was striding in, is expected to attend school a few days a week. West-acre Montessori is named after Italian educator Maria Montessori (who was the first woman in Italy to receive a medical degree), and encourages freedom of thought. The school, which is a converted chapel, costs $55 a day and is located on a private road. In a statement issued by the Kensington Palace, the royal family has asked the public and media to leave the school alone, because it "does not have a press spokesperson." "The Duke and Duchess of Cambridge continue to be grateful for the public's support for the privacy of their young family. They appreciate the ongoing care that the British press is showing around the privacy of their children and have been pleased with the constructive dialogue Kensington Palace has had with a number of international media outlets in recent months," the statement read. As a child, George's father William attended the private Mrs. Mynors' Nursery School in Kensington, which also followed the Montessori method. Kate attended the pre-school at Bradford Southend in Berkshire. According to a source, the school's location in Norfolk is convenient for the young family of four. William is mainly based in the area while he continues his job as a helicopter pilot in the East Anglia Air Ambulance service. "They looked at a few schools and they thought it was the best for place George. They felt in terms of education, the feeling, the teachers and the location – the whole thing made it the ideal fit for him," The royal tot will attend the program on a part-time basis. "There's no set format, but it will be roughly around a couple of days a week," a royal source continued.